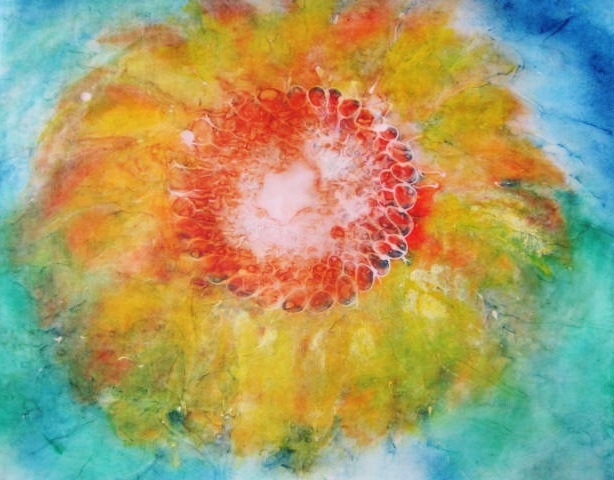 I have been actively painting for approximately 13 years (with university art school and many workshops in the late 60s and 70s), and have gone from drawing and watercolour to encaustics during that time with many different fine art techniques in between. 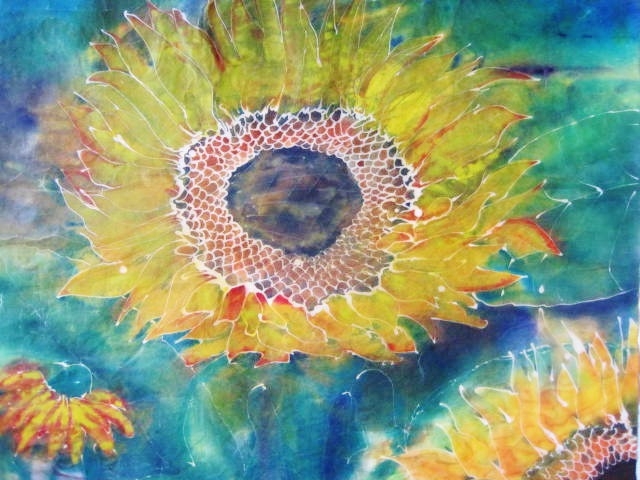 Currently I am working mainly with melted wax (Encaustic) but still go back to acrylics and now, even trying out innovative methods with alcohol inks. New ideas and ways of doing things are always in the offing. Batiks will always be in my repertoire as will montotype and other printmaking techniques. The future holds many innovative, experimental modalities. I will be moving forward and sideways, and every-which-way, but I know that I will always land somewhere, upright, in the weird and wonderful artworld that we know today. 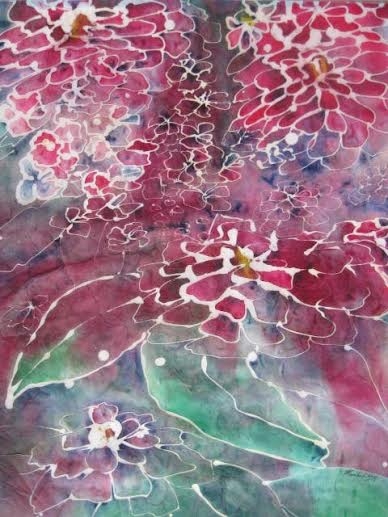 Batik, a word coming from Indonesia and Thailand, is the description of a process whereby melted wax is used as a resist or mask to block out areas that, in the end, will remain white while all other areas are coloured. The technique has been used for hundreds of years and can be seen every day in colourful leisure clothing such as beach wraps and summer dresses and shirts. Originally, the paintings were done on cloth (silk or cotton) but somewhere along the line, someone decided to try it on paper. It has become a very different process as there is no steaming required and the technique is much easier to do in a one-step transaction. 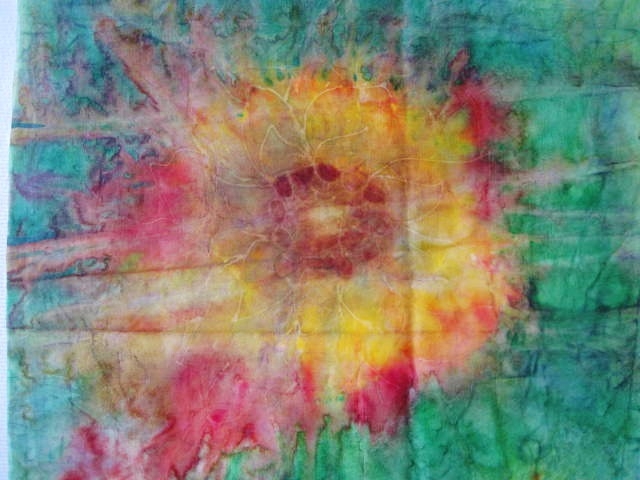 Dyes are very difficult to work with and bleed very easily where watercolours have more variety of shades and are easily accessible and therefore very brilliant. 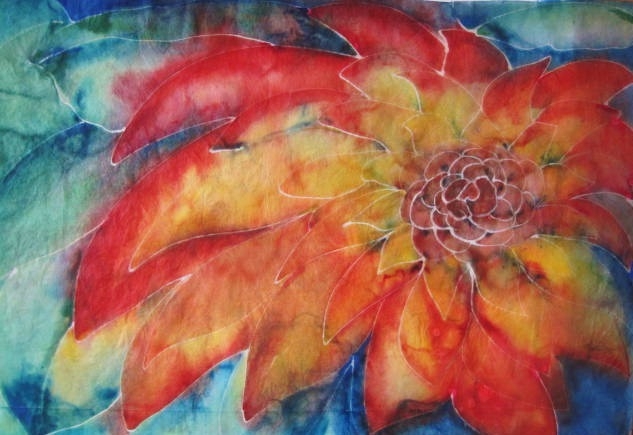 My batiks are created using high quality, lightfast, archival European watercolour pigments. 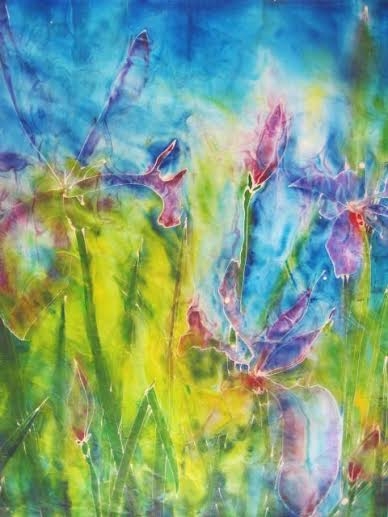 Batik paintings can be displayed in windows like stained glass (between two sheets of glass), fused to plexi-glass with wax to look like oil paintings, or framed behind glass with a mat to look like watercolour paintings. They can be laminated and placed almost anywhere (direct sunlight excluded) without fear of deterioration. North facing windows and walls are best for preservation. The main batik tool is the Tjanting which holds the molten wax like a pen...so, essentially, the artist draws with wax, paints afterwards, and then removes the wax. The challenge is that the artist will only know if the process is successful once the final layer of wax is removed as the colours change during painting and only become clearly visible and bright after the last wax application. It is exciting to bring a painting to the point of completion and finding that it is, indeed, beautiful and ethereal. The delicacy of the paper (I use a multitude of rice papers from around the world) makes it special and since rice papers very so greatly, there is a chance of finding defects or marks that are part and parcel of the process.